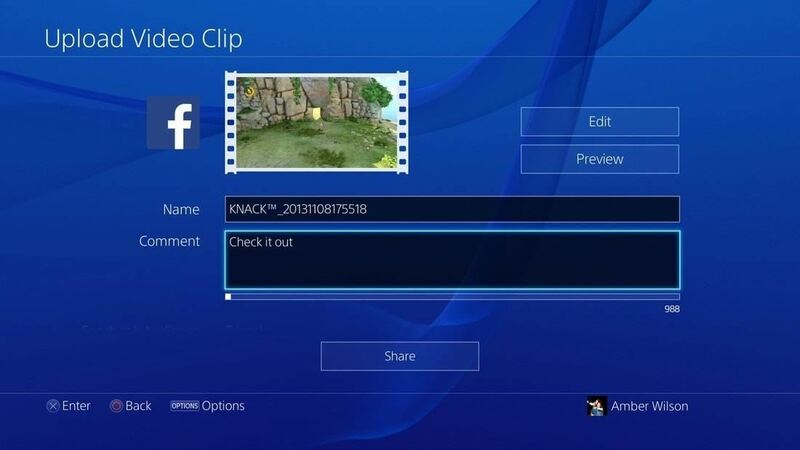 One of the coolest new features on the PS4 is its all-in-one video and screenshot editor. 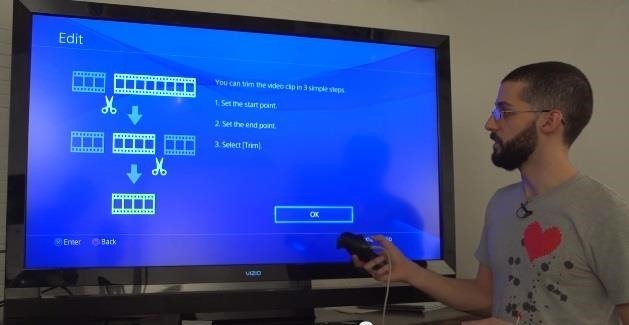 Recording your gameplay is a great way to show the world your headshot skills or create a quick walkthrough guide for tough levels, and doing so on the PS3 required a computer and video capture card. Now screenshots and gameplay recording is built right in! This might be reason enough for some of you to grab the new console. NOTE: Make sure to download the latest 1.50 update if you haven't already. I can't stress to you how easy it is now. This was really a smart move on Sony's part. 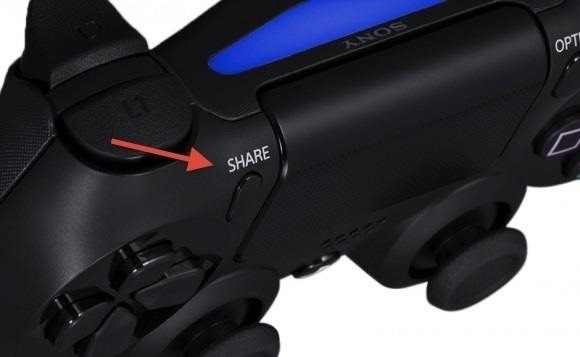 To capture screenshots and videos, you simply press the new Share button on the new Sony DualShock 4 controller. When you hit the Share button, a menu will pop up on your screen where you can choose to either take a screenshot, upload a video, or stream your gameplay directly to Twitch or Ustream. By default, the PS4 will automatically save the last 15 minutes of your gameplay, so you never have to worry about starting a recording. Just play and hit Share and you'll get a screenshots or the last 15 minutes of your gameplay. So, if do something awesome on accident, your PS4 will have you covered if it occurred within the last 15 minutes. You can also choose to start live broadcasting at any point, as well. Check out Kotaku's video below for a walkthrough of everything. You will obviously need a Twitch or Ustream account to broadcast any videos, and then give your PS4 permission to access your account. You can choose to add on-screen comments into the stream, or mic audio, or just the game footage. 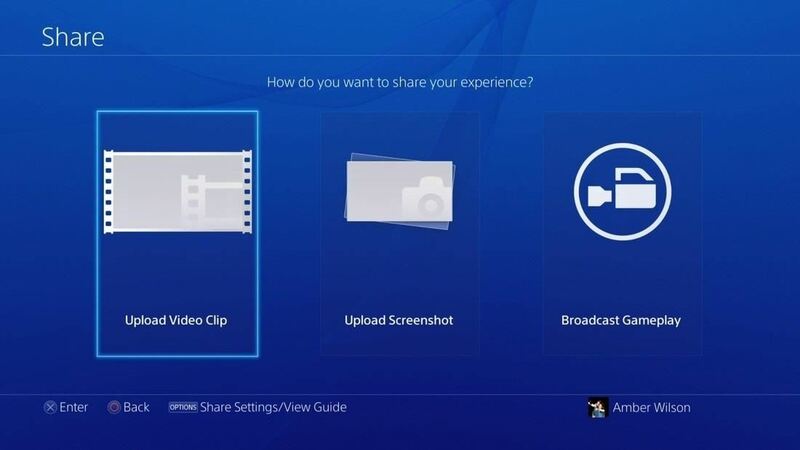 You can edit your video directly onto your PS4 as well. After hitting the share button and bringing up the menu, you can select a clip and hit the edit button. From here, you can trim your video, change the start and end points, and preview your edits. If you have a Facebook or Twitter account, you can upload your edited videos to Facebook and your screenshots to Twitter or Facebook. 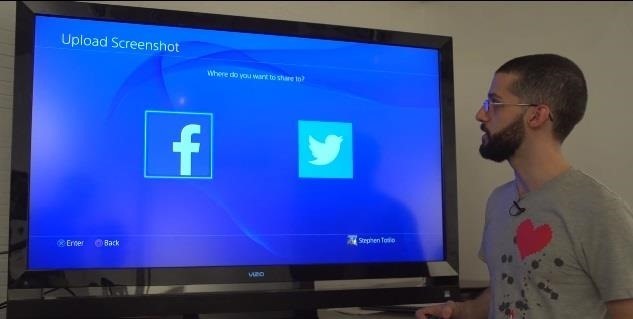 Currently you can only upload your videos to Facebook, but Sony is working on YouTube integration. I would have thought YouTube would have been a no-brainer, but you can't have it all. These new additions definitely came with the gamer in mind, and have cut down on the extra effort users had to do before. Are you interested in getting a PS4 or are you holding out for an Xbox One? Let us know in the comments section.